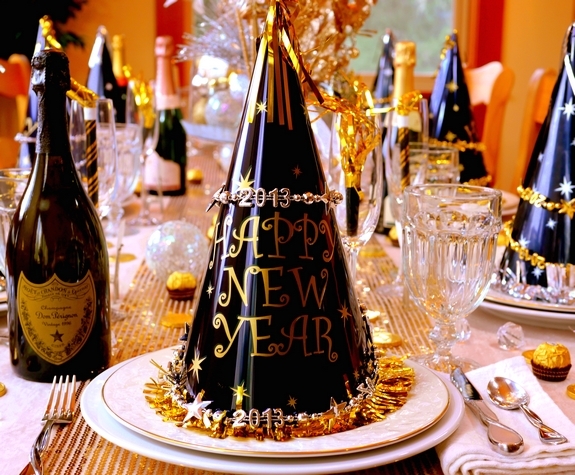 Getting your home dressed up for New Year’s Eve doesn’t have to be time consuming or expensive. 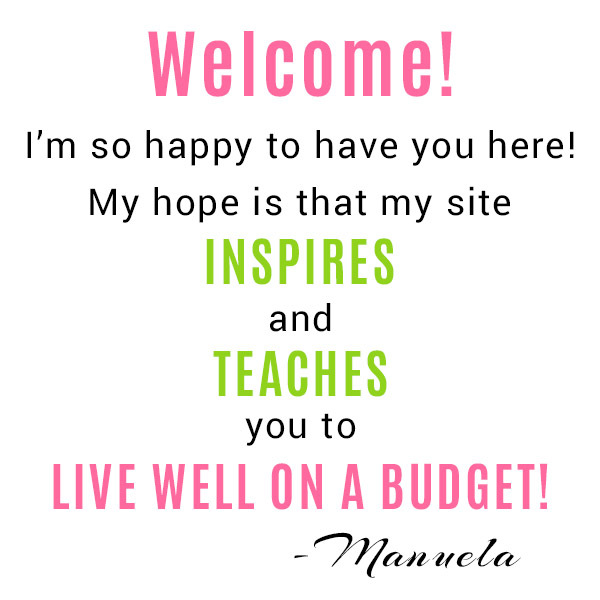 In fact, it can be quite a fun and frugal experience. 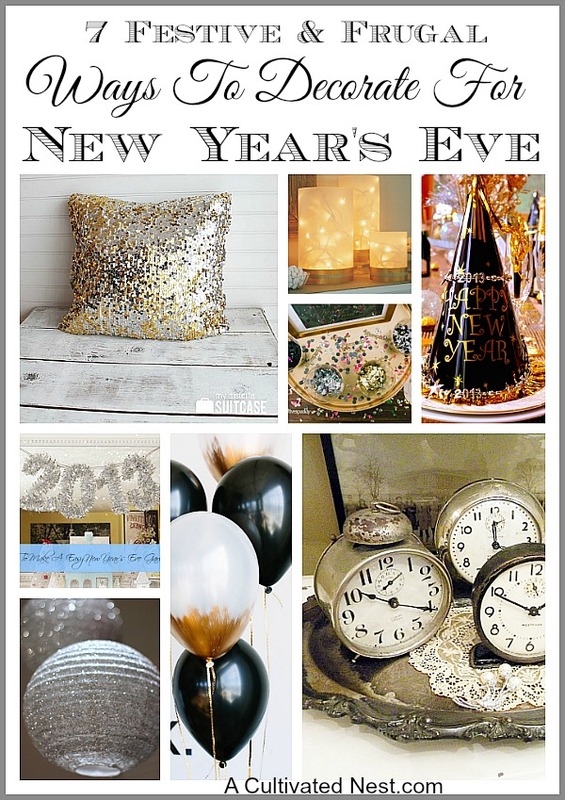 If you’re ready to get your home snazzy for New Year’s Eve, take a look at some fun decorating ideas below. 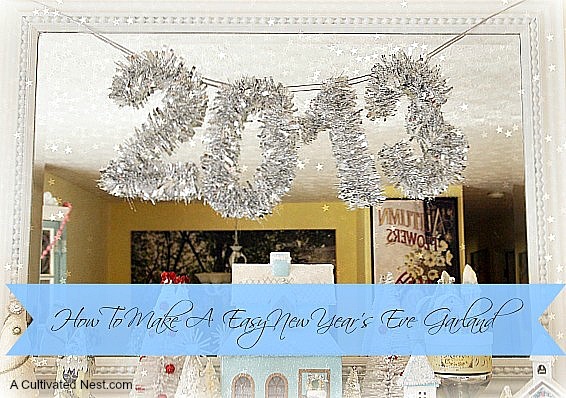 These 7 festive and frugal ways to decorate for New Year’s Eve are so easy, anyone can do them! Even just doing 1 of these ideas would be a great way to acknowledge the change to a New Year! 1. 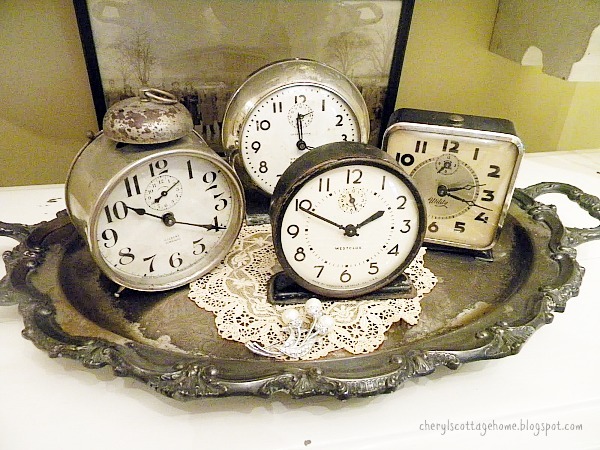 Decorate with old clocks like these from Cheryl’s Cottage Home. Visit your local thrift store and buy some inexpensive clocks. You can then gather all of the clocks along with some glitter or gold and silver ball ornaments onto a platter (get a faux silver platter from the dollar store if you don’t already have one). It makes the perfect New Year’s Eve centerpiece. All you need is 2 items to make it! 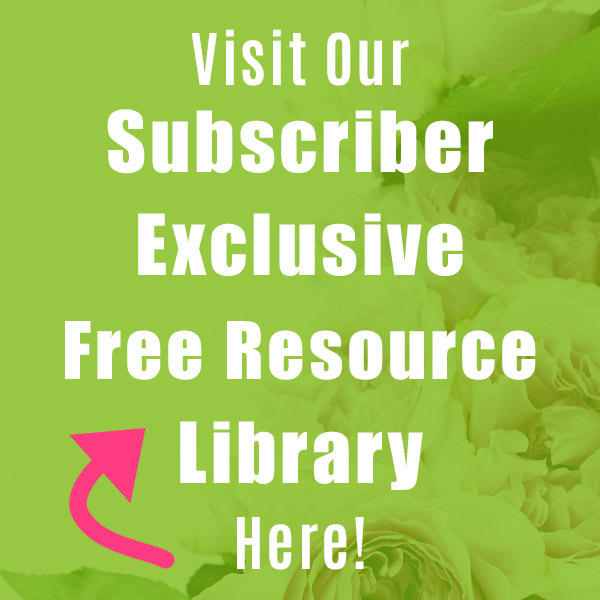 Or find and copy clip art of clocks (search free printable vintage clock faces), or find some clock themed scrapbook paper and glue them to ribbon. String the banner across a mantle, doorway, fireplace or mirror. 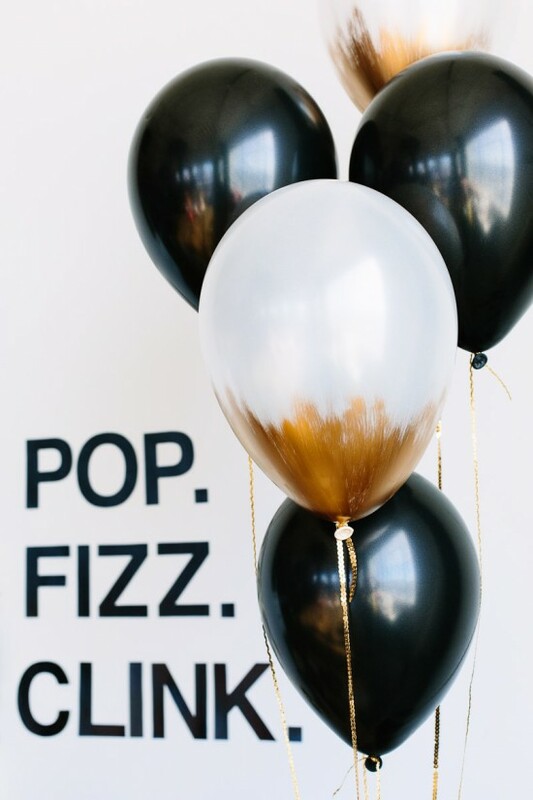 There are lots of free printable New Year’s Eve banners on Pinterest. So check there too! 3. Behold the power of balloons. Why not head to the dollar store for silver and black balloons? 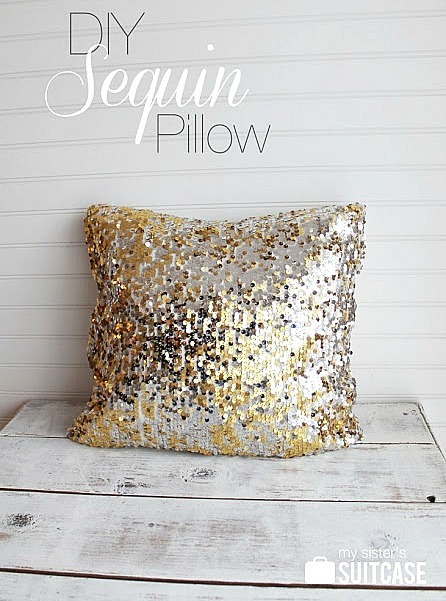 You can create a wow factor by painting the bottoms with a bit of gold craft paint. Then you can hang them from the ceiling, fill with confetti and pop at midnight or fill them with treats for the kids. 4. Say hello to twinkle lights. You can find twinkle lights on clearance after Christmas if you don’t already have some, and use them to add light and ambiance to your space. 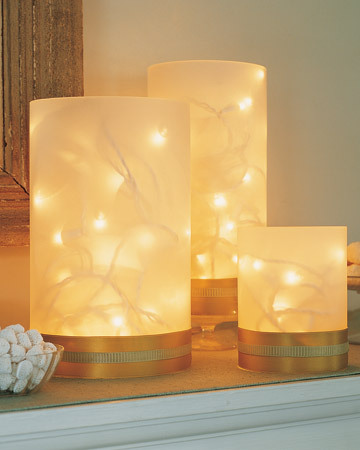 Fill vases with twinkle lights like these from Martha Stewart. You can even string them across the ceiling for a fun look! 5. Don’t forget the party favors. 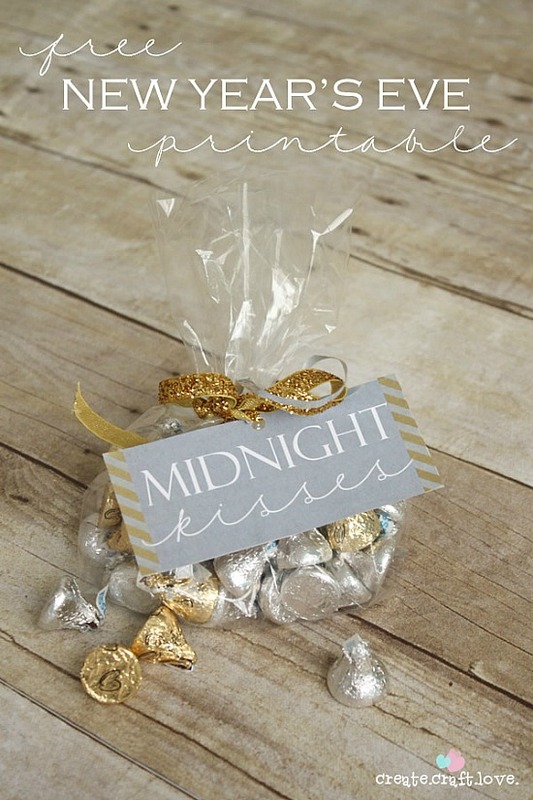 This New Year’s Eve Party Favor from Create Craft Love (includes the printable) is such cute take on the kissing at midnight thing! To make it part of your decor, you can arrange these in a basket with a large bow to greet anyone who enters your home. Or use traditional party favors such as hats and horns. 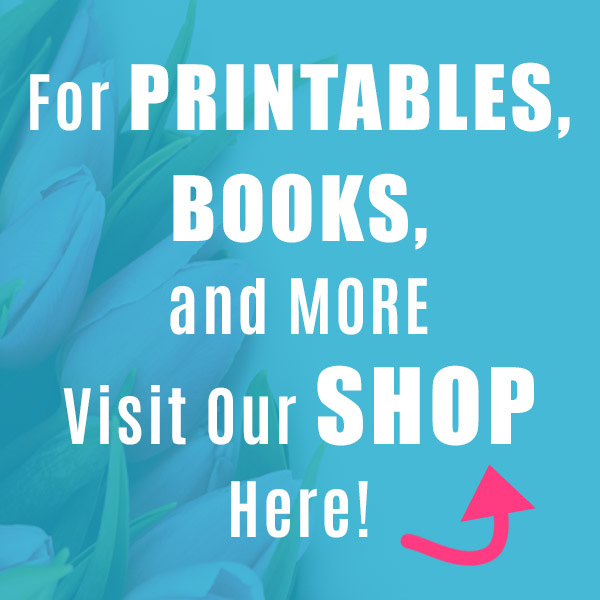 These not only make fun favors, but can also be added into your décor. Use them at place settings like in the photo above from One For The Table. 6. Get cozy with confetti. 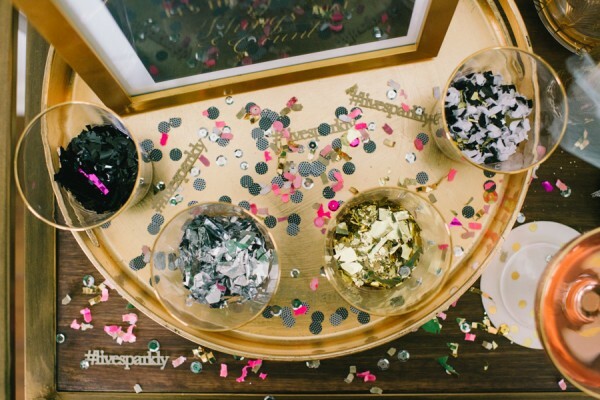 Find some silver and gold confetti to sprinkle around your home for a festive touch. You can add some to centerpieces, sprinkle it around picture frames, the buffet table or even set up a confetti bar. Either way, it will really make things sparkle. 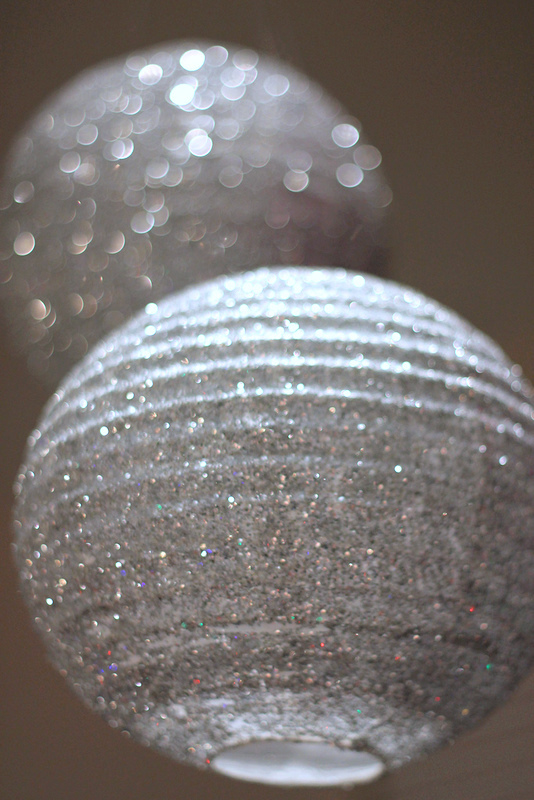 easy to make sparkling lanterns from The Chickabug Blog! Getting your home ready for New Year’s doesn’t need to be pricey. 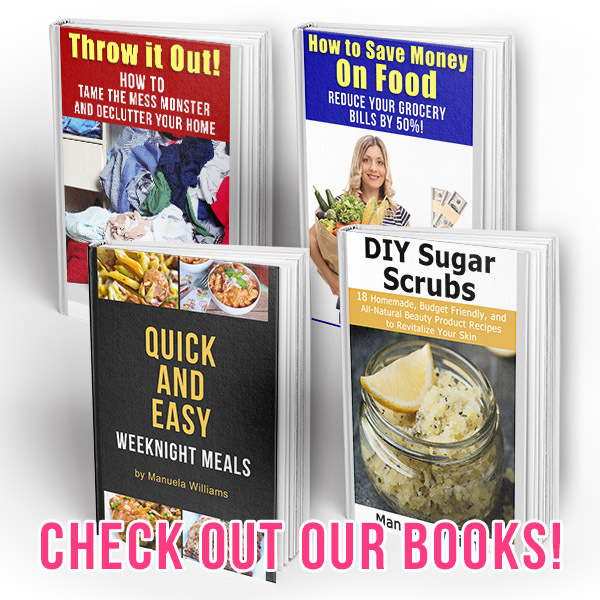 Give these tips a try instead! We are hosting the 9:00 to midnight time slot on the progressive dinner that our lane holds every year. The theme is black and white and I have the mantel ready, but still have to decorate the table that will hold the food. I am going to use some of your ideas. And, I am definitely going to make the bags of kisses – such a fun idea! Oh good, so glad you found some ideas to use! Those bags of kisses are such a cute idea. I’ll bet they’ll be a big hit! I agree with Carol! The kisses are such a cute idea, and I also like the idea of painting the balloons! Easy and big impact. My kind of diy :).